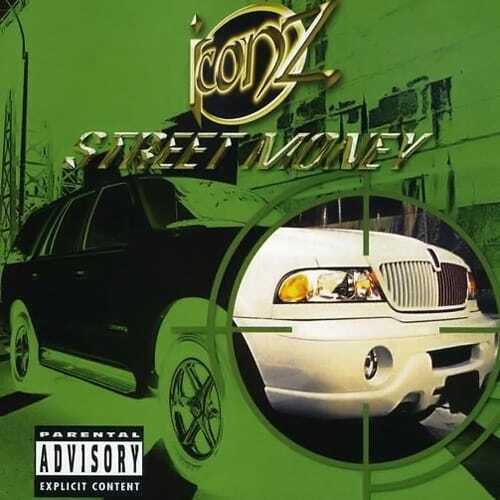 Released at the height of Slip-N-Slide Records' run of success in 2000, Iconz's Street Money was meant to be a launching pad for the talents of solo artists Luc Duc, Chapter, Stage McCloud, Tony Manshino and SupaStarr. While that plan failed to blossom, the crew did leave behind the memorably nihilistic club anthem "Get Fucked Up" before fading following their sophomore LP, Ya Lookin at Em. in 2003. A remix with Lil Kim gave "Get Crunked Up" (as it was known in cleaned-up radio form) additional exposure but it's the original—a bouncy, percussion-driven posse cut in the vein of Trick Daddy's "Shut Up" (which actually appears in the opening of the song's video)—that had Iconz looking like Miami's answer to Wu Tang (okay, a bit of a stretch) for a brief, millennial moment.